Write your loved one a heartfelt letter or poem this Valentine’s Day and have it beautifully presented as a personalised gift scroll. 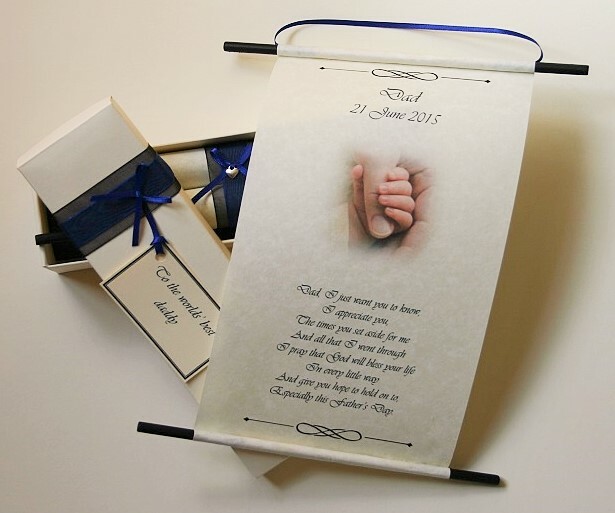 There are a selection of scroll collections to choose from, with a choice of font, paper, ribbons and charm. 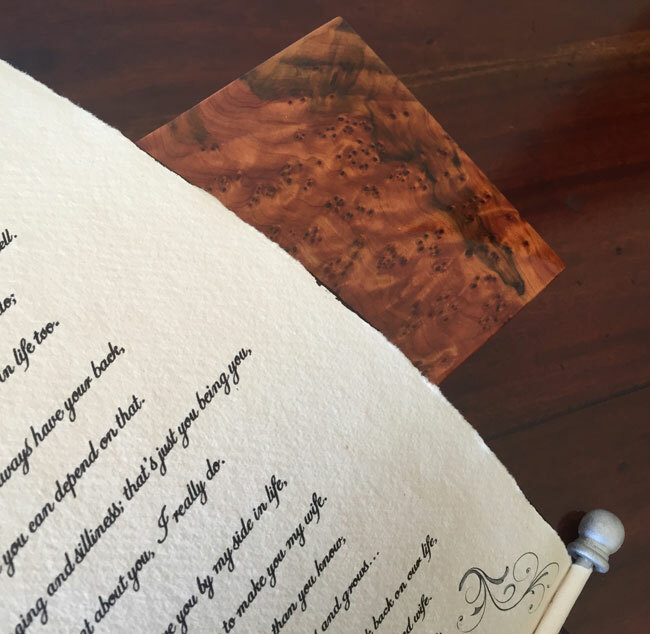 If you prefer the more rustic look, you could choose one like the scroll pictured below with hand made, aged paper with burnt edges and a wax seal. 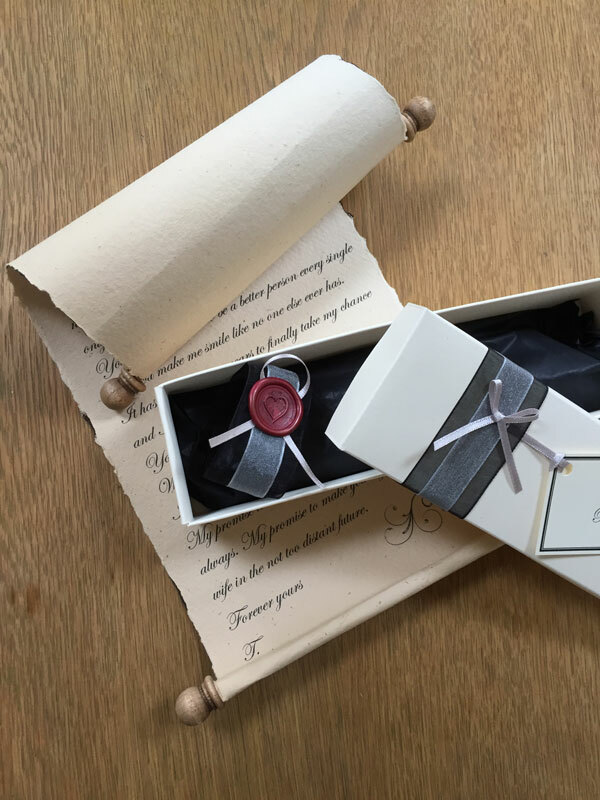 Trinitybox also does calligraphy for that extra special personal touch, there is nothing like receiving a hand written letter on a special occasion. 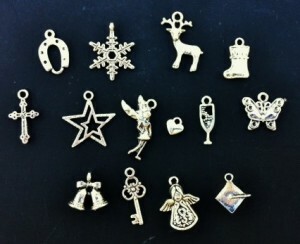 Again, with the Luxury (hand written) collection, there is a choice of font, paper, ribbon and charm to choose from. 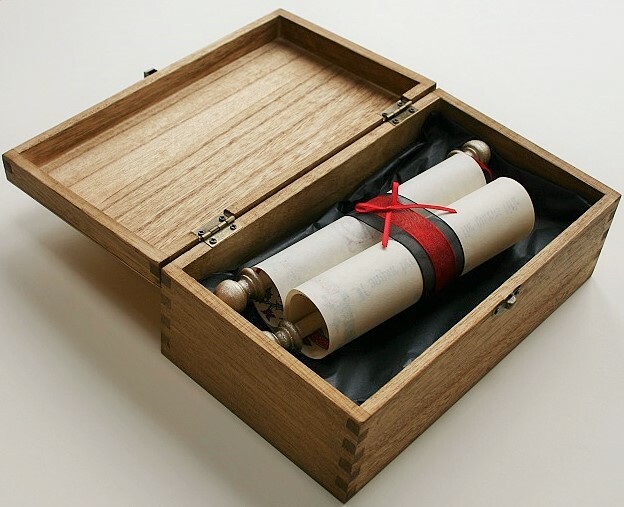 If you really wanted to show how much you care, there is an option with all the scrolls to have them presented in a solid wooden box. 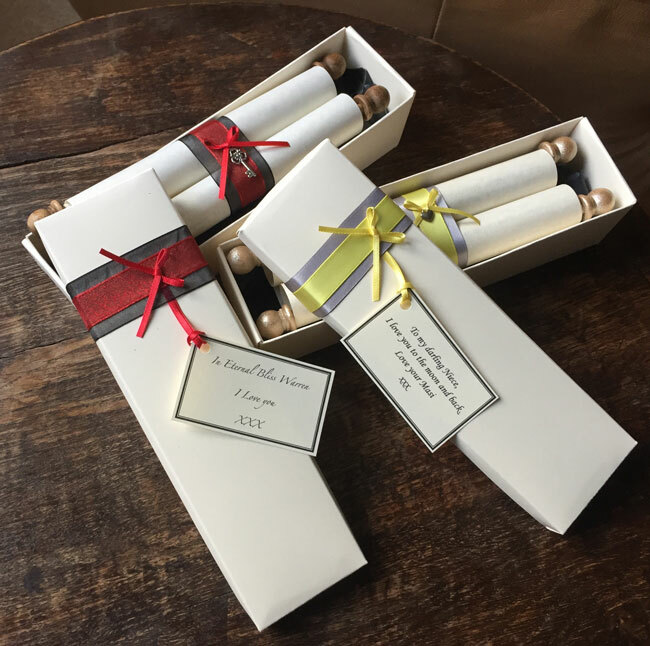 Any of the scrolls can be personalised with names and dates, and each scroll is hand embellished with a subtle highlight on the larger words and decorative swirls. 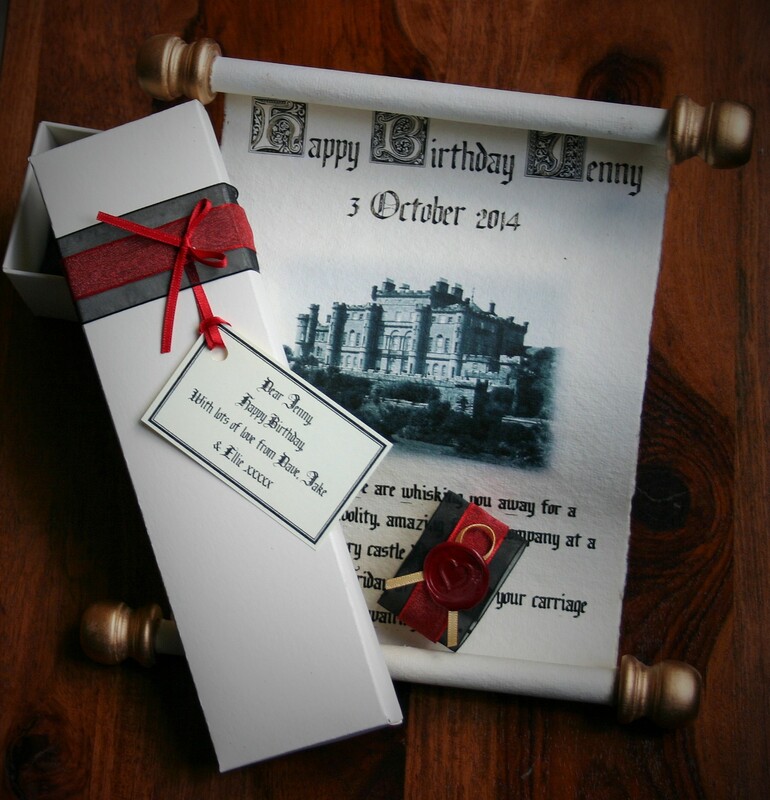 Every scroll also comes with the option of a personalised gift tag. Order is easy and straightforward, and can be done online via the website. For more details about my personalised gift scrolls, please click here, and don’t hesitate to contact me if you have any questions. I will either print or hand write your message onto a scroll using a choice of fonts (or you can use your own), with a choice of beautiful papers and presented in a box with ribbons, charm (or wax seal) and a gift tag. There are 3 scroll collections; the Classic for a timeless feel, the Premium for a more rustic, aged/old English feel and the Luxury which is the hand written collection. Please click here for more information about the collections. The scrolls are available in a small, medium and large size depending on how long your letter is and the format. 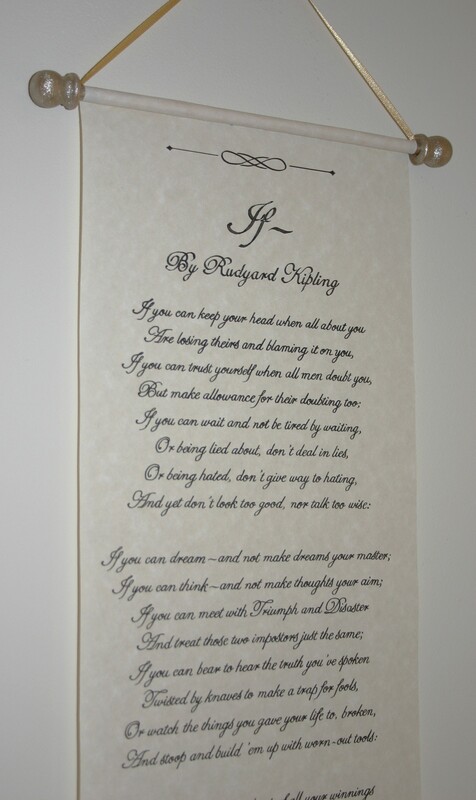 There is also an option to have your message printed/hand written onto paper without dowels/finials (the rollers at the top and bottom), like the one pictured below. If you know what to say but are unsure how to put it down on paper, there is also an option for someone to write a poem for you. Please click here for more information on this. 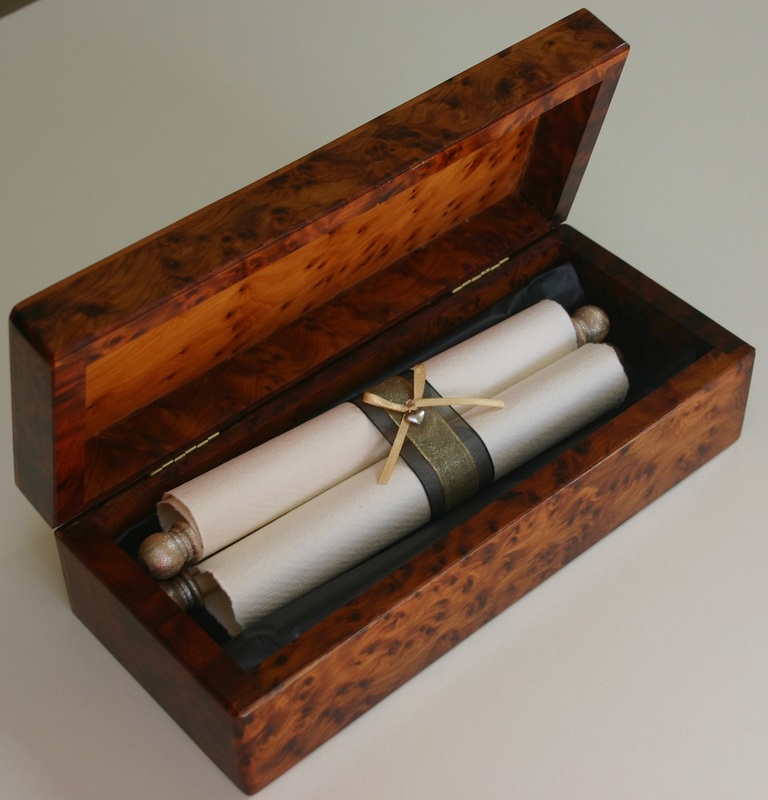 There is an option for the scrolls to be presented in a solid thuya wooden box, which is a beautiful piece of furniture and makes a beautiful keepsake to house your scroll in. The order process is simple and can all be done online, but if you have any questions at all, please don’t hesitate to contact me. 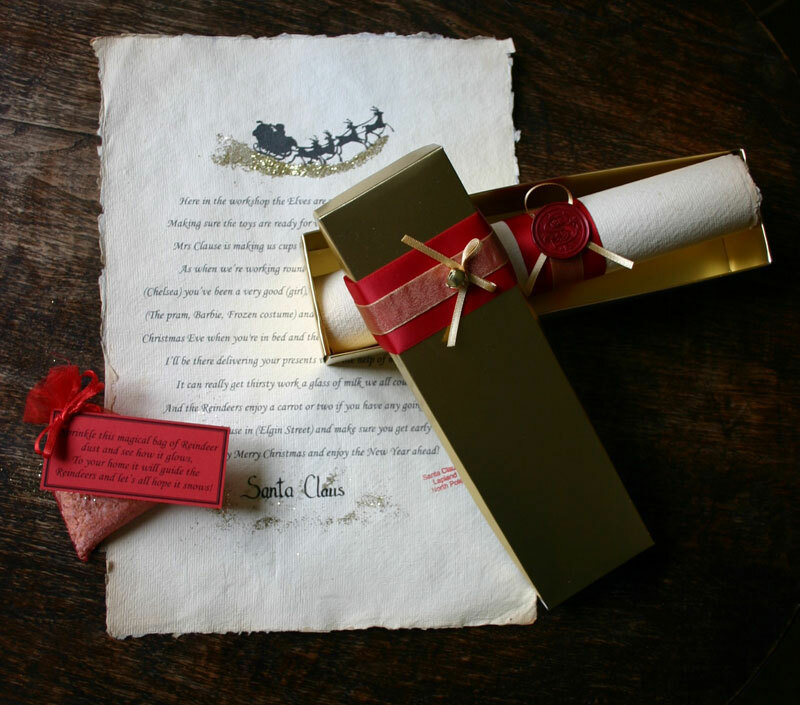 New from Trinitybox for this Christmas, these Santa scrolls will light up your child’s face as they read the personalised signed letter from Santa and wonder at the magical Reindeer dust that they can sprinkle outside their home on Christmas Eve. 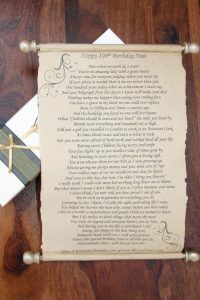 The scroll contains a lovely poem which is personalised to include your child’s details (name, gender, what they would like for Christmas, Street name). This is printed on beautiful handmade paper which has been aged. Your scroll can have dowels and finials like the one pictured below, or without like above. 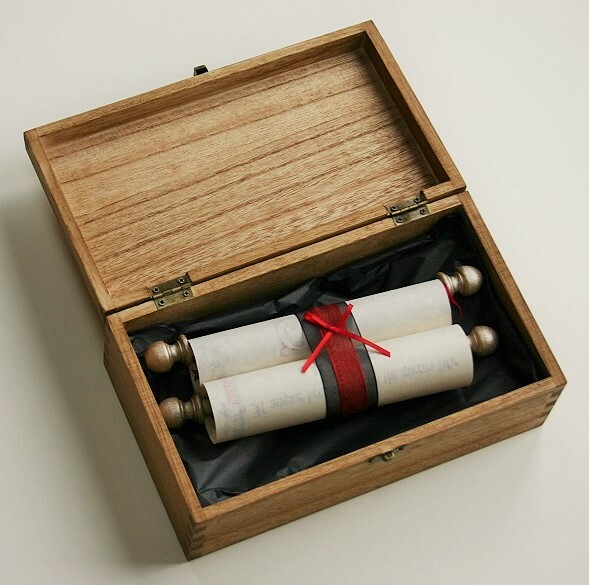 Both scrolls are presented in a beautiful gold box with red and gold ribbons and a jingle bell charm. The scroll is trimmed with matching ribbons and a Santa wax seal. 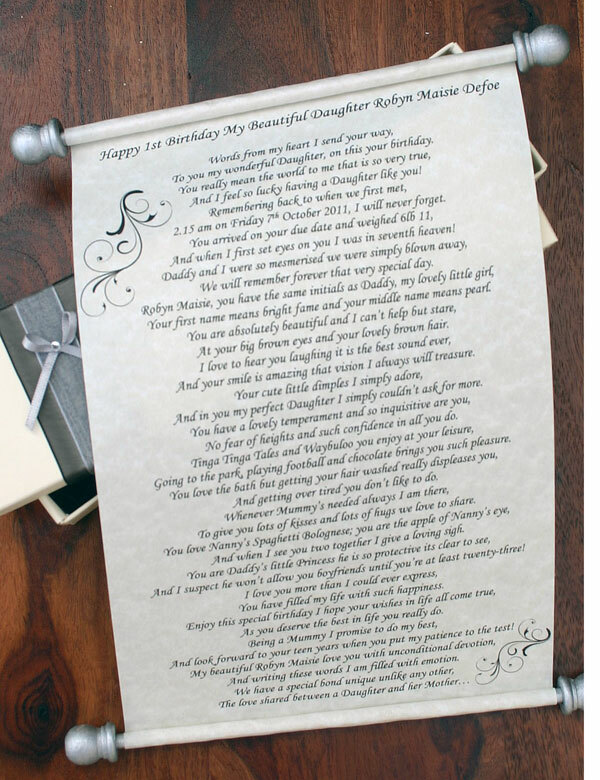 You can have your own message printed on the scroll if you would prefer, or there is also the option for you to have your own poem written especially for your child. 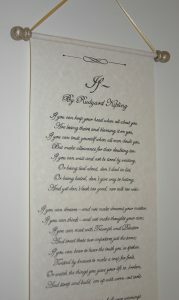 For more details about these charming keepsake scrolls, please click here or contact me for more details. 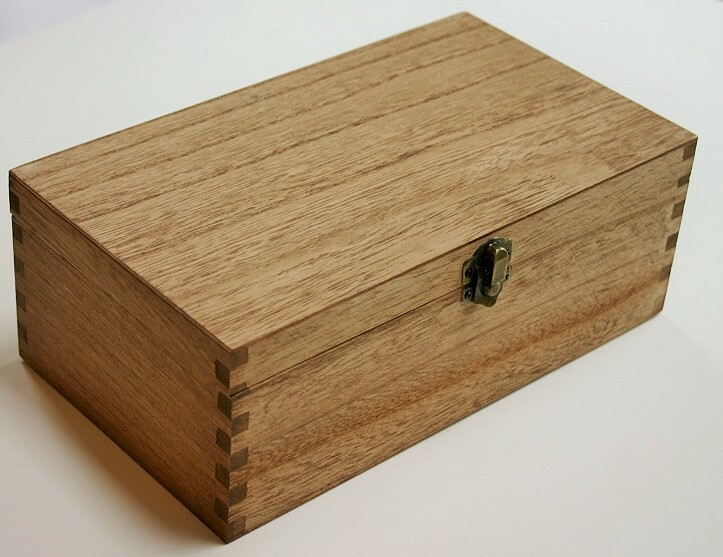 This beautiful wooden, oak stained box is new to Trinitybox. It is perfect for keeping your scroll inside, to treasure forever. This box will look perfect in any setting as it has a modern feel, but also would blend nicely with a more traditional decor. The dimensions of the box are 24cm(w) x 14cm(d) x 8.5cm(h), making it large enough to store other small items also if you wanted, particularly ideal for treasured Wedding mementos. The boxes have hinges and a dark bronze coloured clasp fastener. The price of the box is an additional £20 on any of the scroll prices listed. If you would like to order a scroll and wooden box, please contact me. 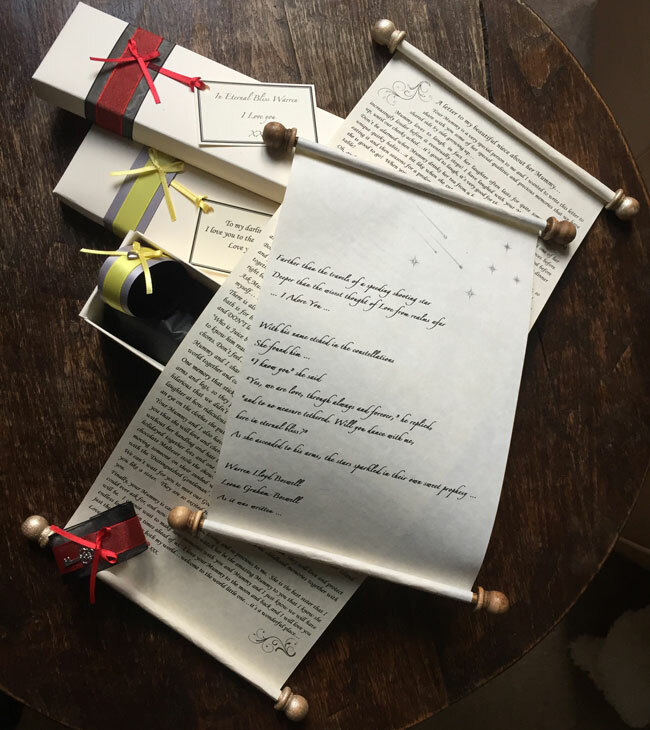 A Trinitybox scroll is a thoughtful and unique gift idea for Father’s Day. 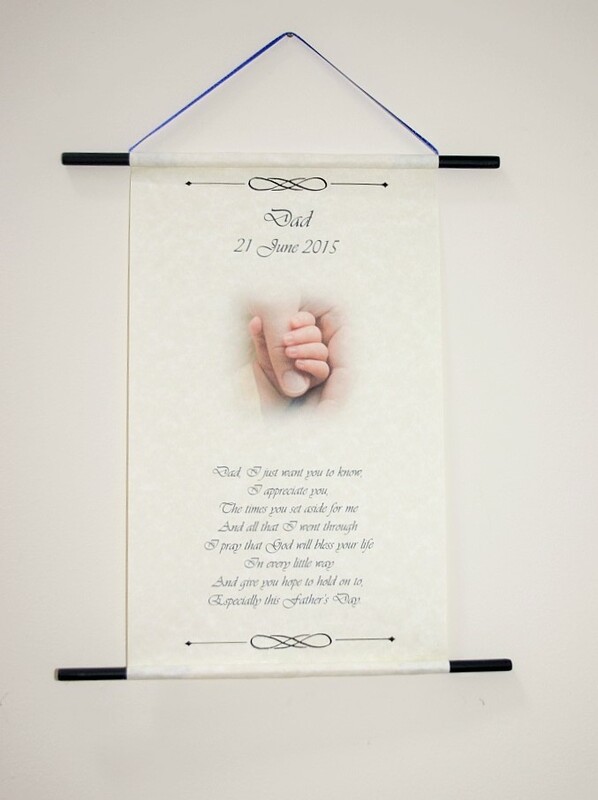 This one pictured below is a hanging scroll which can be hung in the recipient’s home to remind that person each and every day how special you are to them. You can have any message/poem printed on your scroll with names and/or dates. 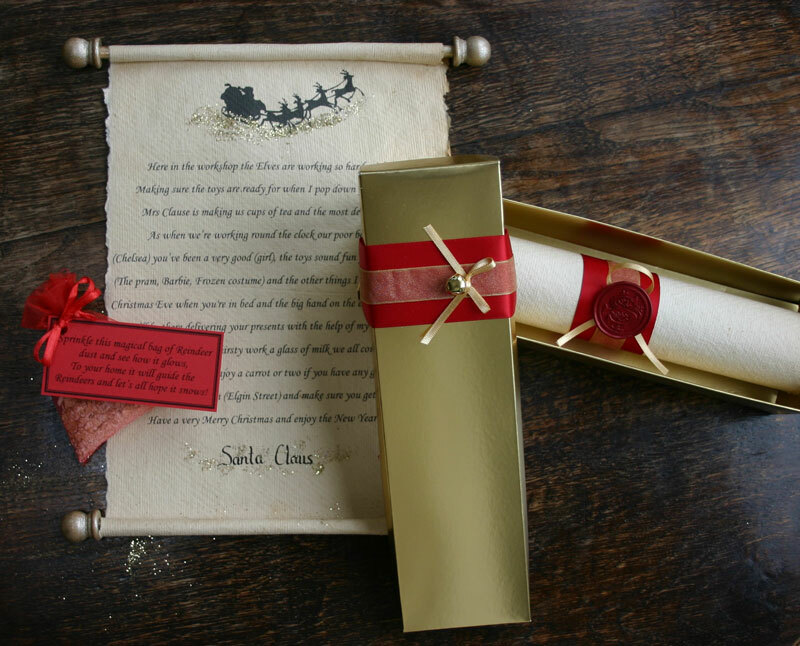 The scroll is then trimmed in a ribbon colour and charm of you choice (pictured below) and beautifully presented in a gift box with coordinating ribbons and tag. Trinitybox scrolls can be printed or handwritten. A choice of calligraphy font is available also with a selection of parchment and hand made papers. For more information about the gift scrolls, please click here, and don’t hesitate to contact me if you have any questions. This style of love letter is new from Trinitybox. I do have other styles available also, so please see my personalised gift scroll page before deciding! I decided to design this scroll because I was getting more and more requests for aged or antique effect scrolls, and this one definitely has an Old English feel to it. It has a luxurious feel to it and makes an extra special gift for someone and will be treasured forever. 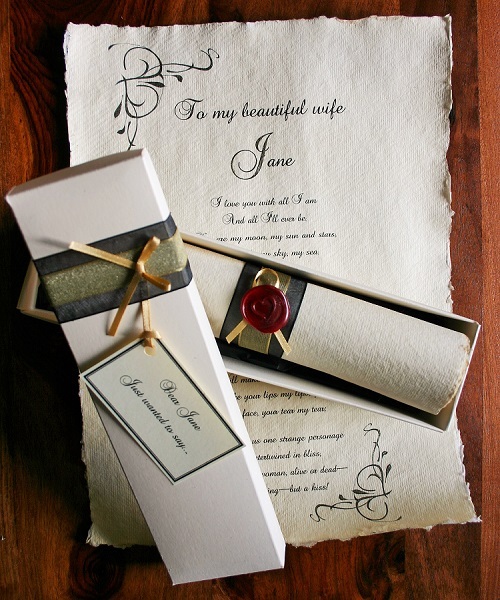 This scroll is also perfect for Wedding proposals as the ring can be hidden inside the box. The paper is handmade from recycled cotton and is stained to give it an aged effect. The edges are rough and these can be scorched to add to the aged feel. The writing is hand embellised with gold on the larger pieces of text. Any message can be printed on the scroll. 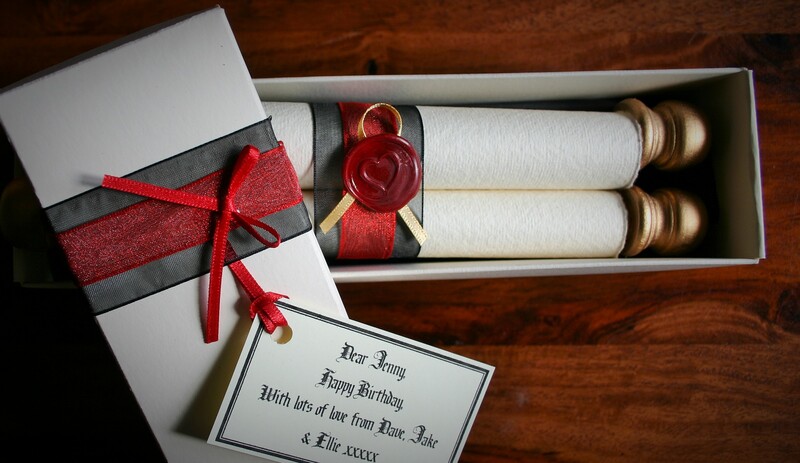 The price of this scroll includes all personalisation, the ribbons with a colour of your choice, the wax seal in either a heart or fleur de lis design, the gift box with ribbons and gift tag. 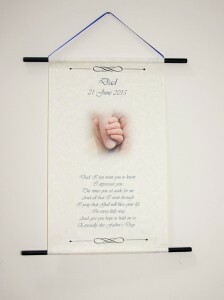 A photograph printed on the scroll is £3. These invitations are new from Trinitybox. 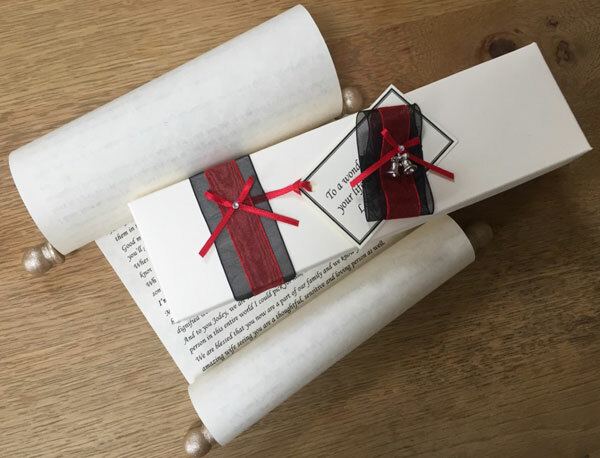 I am making more and more scrolls for themed Weddings, and the Castle/Medieval theme seems to be very popular at the moment, so I have brought out these invitations which can also be used for other events such as Birthday invitations as well as Weddings. The paper I use for these invitations is made from handmade from recycled cotton which is stained to achieve an aged effect, the edges of the paper pictured here have been scorched here to enhance this effect. There may be minor imperfections on the paper and each sheet will vary slightly from the other because of the nature of the paper being handmade. The invitation has been sealed with a wax seal which has been custom made with the couple’s initials. 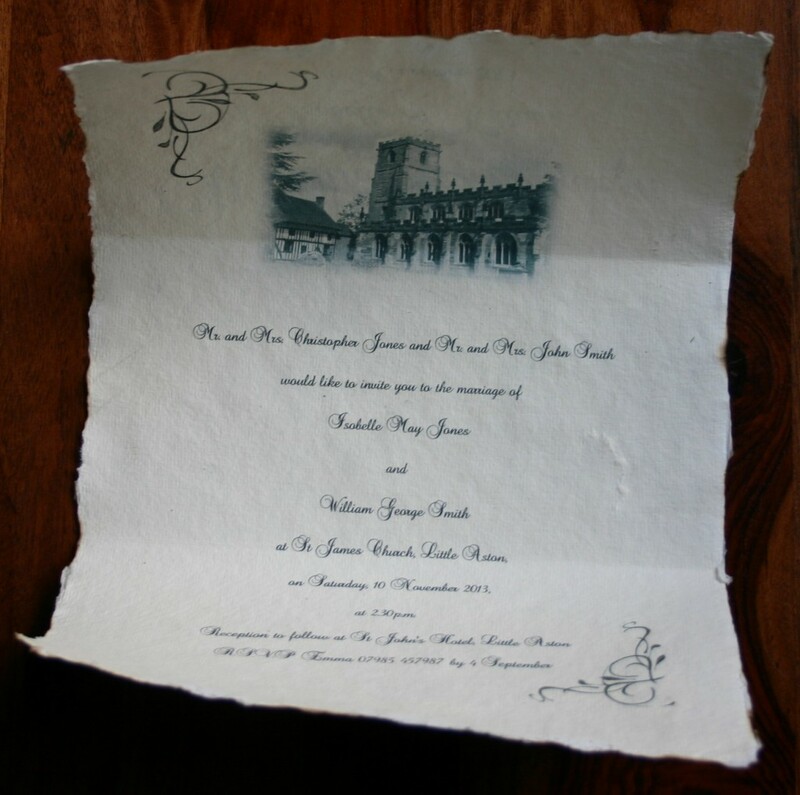 This invitation has been folded to enable it to fit in a standard envelope; DL (110x220mm) size envelope. These invitations do not come boxed, but matching envelopes are available to order. The print is highlighted by hand with gold effects and printed on both sides. If you wish to order a sample invitation, the price of this is £10. 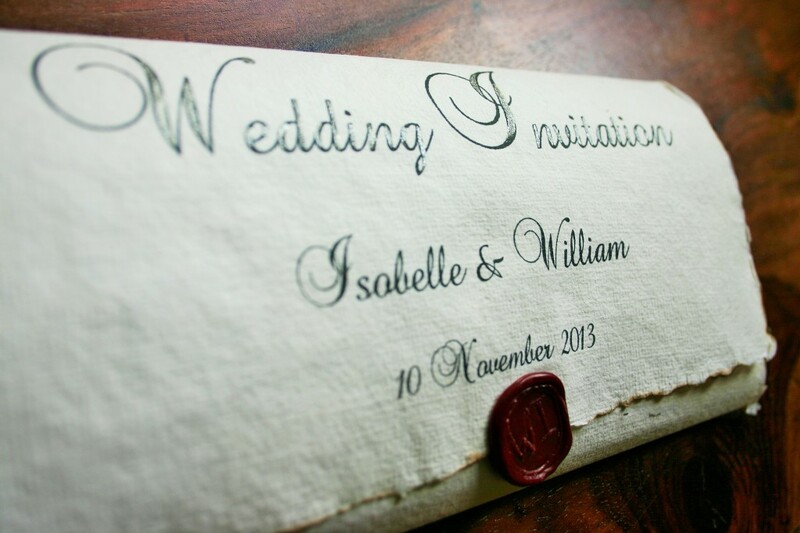 Matching envelopes are also available with these invitations, which can be sealed using coordinated wax seals. These scrolls are new from Trinitybox. I have produced these as I am getting so many requests for either aged or antique effect scrolls. 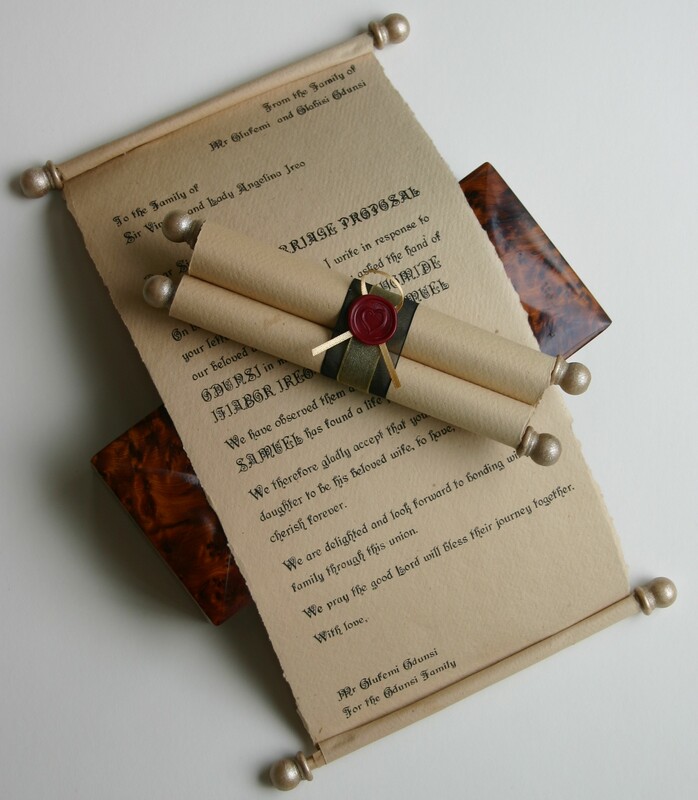 I am also aware that events in Castles are on the increase, so these scrolls make great Wedding or Birthday gifts which can be printed with poems, messages, Wedding Readings, prayers or any other message you may want printed on the scroll. The size of the scroll is A4, although I do have to trim a little off the sides in order to fit the dowels and to ensure it fits into the gift box. I will custom make any of my scrolls to any size, however these won’t be presented in a gift box, please contact me for this option. Medieval style scroll with wax seal, presented in a gift box with tag. The price includes all personalisation of the scroll, hand embellishment with gold paint, the ribbons with wax seal in either a heart or fleur-de-lis design and a presentation box and gift tag. I can also email you a proof if you would like one.